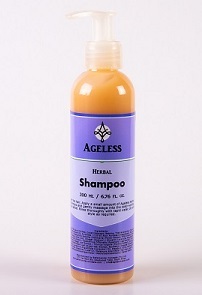 Rosemary Shampoo – Ageless Herbal Rosemary Shampoo. Our herbal Rosemary Shampoo is no ordinary shampoo, and no other shampoo has the same amount of fresh active extracts in its formula to compete with this. It not only cleanses the hair properly, but also provides the ingredients to maximize the health and appearance of your hair, while also caring for the condition of your scalp and hair follicles.